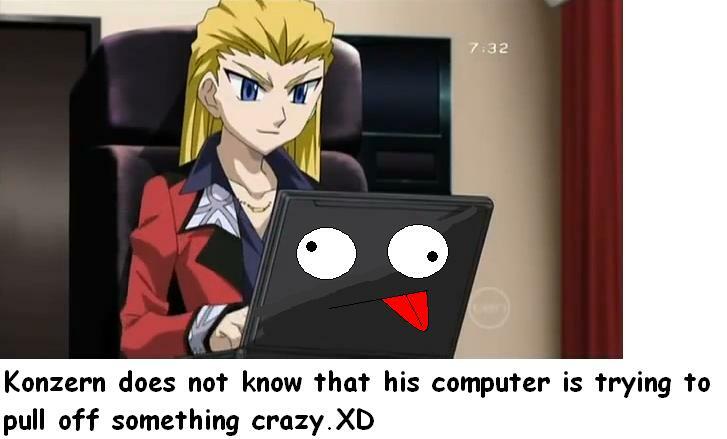 Konzern's computer gone wrong XD. . Wallpaper and background images in the Beyblade Metal Fusion club tagged: beyblade konzern crazy computer gravity destroyer excalibur perseus xd.